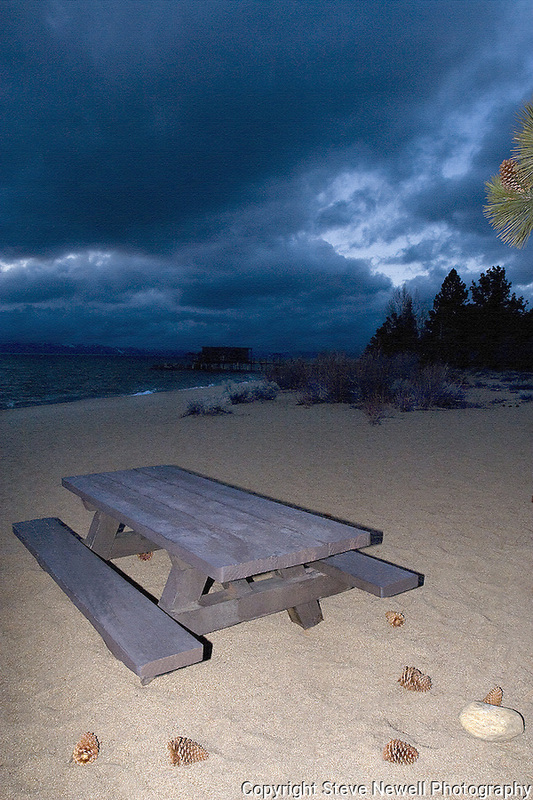 "Solitude" Nevada Beach, NV. I captured this image with a Spring storm blowing into the Tahoe Basin. I am always marveled at the solitude of our beaches, trails, and slopes here in South Lake Tahoe. The limited edition series of 250 size for this image is 24"x36" which is it's maximum size and comes with a certificate of authenticity.